Getting pregnant makes many women realize the power they possess to bring new life into the world. But even the easiest pregnancies nevertheless change women emotionally, mentally and physically. Bearing children requires enormous strength, but it presents women with new vulnerabilities as well. Hormonal changes during pregnancy and after giving birth lead some women to develop depression for the first time. The need to protect their growing infant causes many pregnant women to proceed more cautiously with physical activity. The relatively long gestation period human beings have coupled with the utter helplessness of young infants make many moms — whether they’re first- or fourth-time moms — feel the need for additional protection. Physical changes during pregnancy lead many women to develop a new consciousness about their bodies. Pregnancy changes a woman from head to toe, from swollen feet to achy breasts to changes in even her teeth. The changes in a pregnant woman’s body require additional energy demands. The resulting cravings naturally lead women toward foods high in nutrients they lack, like potassium and iron. However, approximately 40 million Americans struggle with hunger, some of them pregnant women. The need for additional calories makes expectant moms with inadequate food resources at risk for complications. Women in their third trimester often experience difficulty with formerly easy physical activities, as the baby pressing against their diaphragm leaves them short of breath. While many women accept this signal to ease into gentler exercise routines, fitness buffs and athletes often resist the urge to slow down. As pregnancy progresses closer to term, women should switch from running to walking or from challenging Zumba classes to gentler Tai Chi. Exercise caution with yoga, however, as some poses put too much pressure on veins and arteries, leading to inadequate blood flow to the baby. 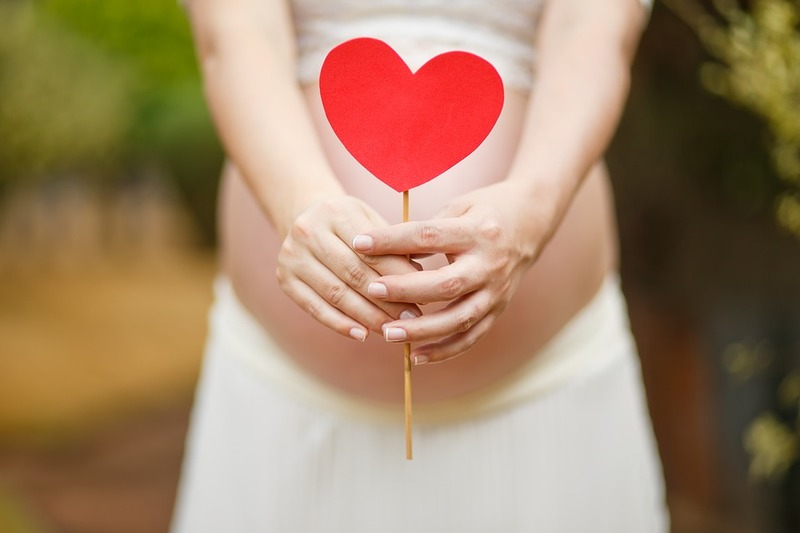 Did you know that oral health can potentially impact fetal development, and vice versa? Hormonal fluctuations during pregnancy change everything from the amount of saliva a woman produces to the development of gingivitis. As baby and mom share a bloodstream, bacteria entering the body through cuts in the gum line can prove fatal to developing infants. Pregnancy provides the perfect time for women to gain more awareness of their physical selves. Pregnant women should schedule at least a few minutes daily to simply contemplate the wonder of life. Unfortunately, in America, pregnant women face greater financial vulnerability than those in other developed nations. Many American women lack health insurance coverage, and even uncomplicated births cost those without coverage upwards of $10,000 — much more if they develop complications during delivery. American women face maternal and infant death rates among the highest in wealthy countries. Far too many infants die before celebrating their first birthday due to vast income inequality leaving more and more women in poverty and without health coverage each year. Simply having adequate health insurance doesn’t mean a woman automatically escapes financial vulnerability, even when delivery goes smoothly. Child care costs as much as the average rent in many areas. Many women also find themselves returning to work mere days after giving birth due to the lack of paid maternity leave in the U.S.
Raising a child to adulthood costs hundreds of thousands of dollars, and that’s not even including the cost of college tuition. Women struggling in poverty must sacrifice even more to keep their families fed. As women still earn less than men, more women find meeting the financial burden of childbearing difficult if not impossible. Pregnancy changes more than a woman’s body and impacts much more than her pocketbook. New moms must adapt psychologically to the reality of having a tiny human entirely dependent upon her for care. Many women experience postpartum depression. Medications and counseling help alleviate this condition, but for uninsured, low-income women, that care may remain out of reach. Symptoms of postpartum depression include severe mood swings, an inability to bond with the infant and even violent behavior in rare instances, so women fearing they suffer from this condition should lean on their support system if nothing else. Even women who don’t develop postpartum depression may nevertheless experience mental and emotional disorders. Some mothers develop anxiety issues due to financial insecurity or fears about something or someone harming their baby. Other moms develop adjustment disorders on a long-term basis instead of these issues easing a few weeks into parenthood. Pregnancy turns many women into confident and assertive mama bears, but despite this newfound strength, various biological, psychological and financial challenges can render them vulnerable to a host of adverse health outcomes. We should do more to ensure that those carrying the future of the human race inside their bodies have the support, care, financial resources, health coverage and paid leave time they need to adjust to parenthood. All mammals instinctively protect their young, and when we as people fail to do the same, we lose our very sense of humanity.